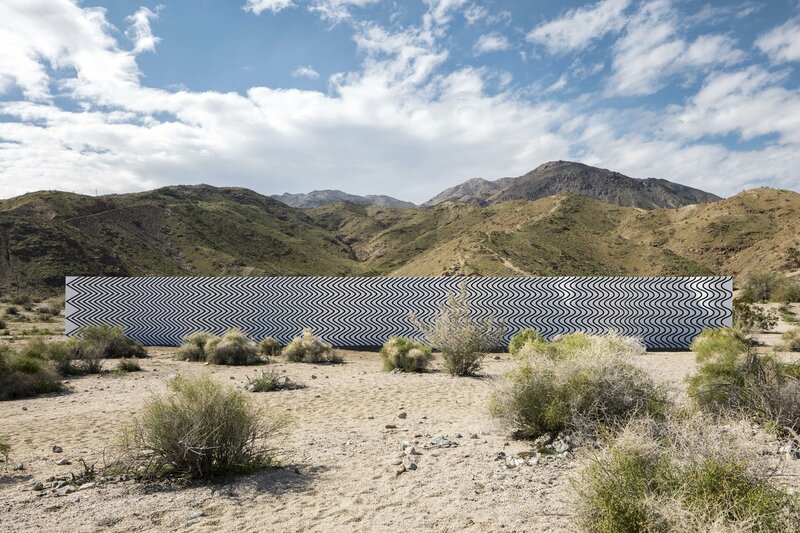 we recently visited a first in my lifetime: desert x. borrowing a quote from their site, "the coachella valley and its desert landscape will become the canvas for a curated exhibition of site-specific work by established and emerging artists, whose projects will amplify and articulate global and local issues..." running through april 30th, some shut down early so check with their site you find yourself in the palm springs area or sign up for next year's. 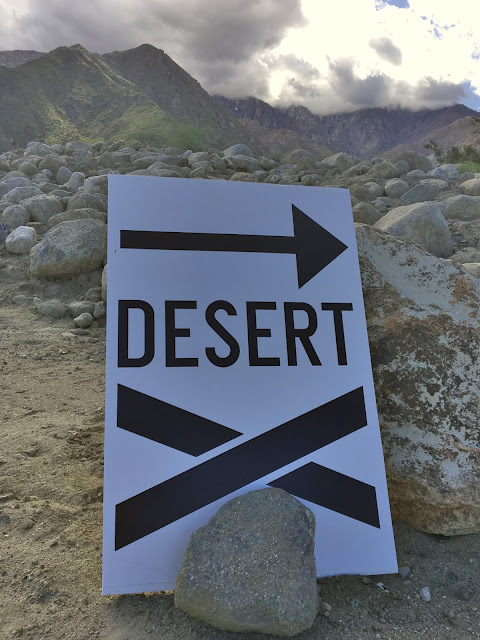 this scavenger hunt for desert x is tons of fun though a bit tough to find the installations, making it all the more adventurous. we were able to make it to most of the approximately 15 stops as the art spanned quite a large driving area. and that took us most of two days but i found it nothing less than awe-inspiring. 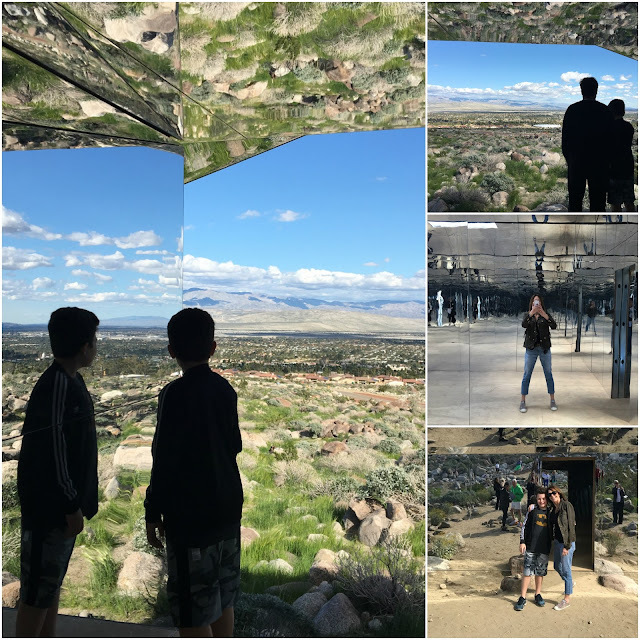 one that absolutely blew me away was by artist doug aitken, dubbed "mirage." a home built in pretty much an unencumbered area was nothing short of miraculous and just plain impressive. 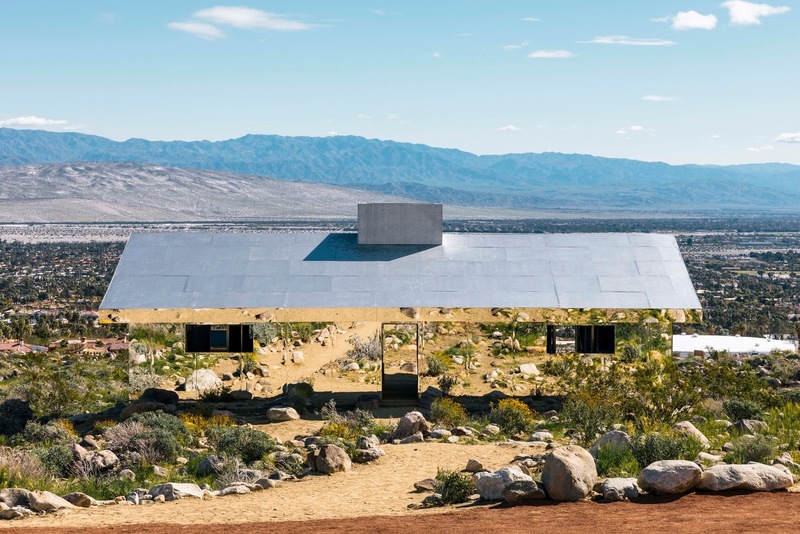 the entire home is composed of reflective mirrored surfaces and serves as a bit of a maze due to the placement of the mirrors. this exhibit is to last until october 31st so you've got some time to see my favorite. not to miss a mention was a bunker replication that served during president kennedy's administration. once you climb a ladder down to the earth you find yourself staring at j.f.k. seated on a presidential-size chair. this was presented by will boone. another was a huge wall that was painted in a way to give a 2-d impression imposed on a 3-d dimensional structure. in short, claudia comte's addition to desert x did not disappoint. quite an experience if you love art the way i do.